Mystic Productions was created in 1993. Since that time, we have produced The Mid-Atlantic Wedding Expo, Delaware Bridal Fair, Great American RV & Outdoor Show, Cabin Fever Craft Show, Mason-Dixon Indoor Yard Sale & Craft Show, The Delmarva Harvest Festival, Mason-Dixon Talent Showdown, USA Talent Search, America's Brilliant Miss, to name just a few. Currenty, we are producing and directing several pageants and events in the Delaware, Maryland and Virginia area. Many of these events are FREE to enter. Mystic Productions was founded in 1993, as April Meilhammer Brilliant, a native of Maryland's eastern shore, created the Miss Delmarva Pageant. In the past 25 years, Mystic Productions has produced numerous events, pageants and trade shows. The Miss Delmarva Pageant was created with the hopes of bringing lifelong skills to young women and ladies in the area, including public speaking and interview skills. In addition, the goal was to help girls and women become the best they can be through encouragement and positive reinforcement. April is currently the mid-day radio host from 10-3pm on 102.5 WBOC. Listen live at www.wboc.com or on the Tune-In app. April is very involved in her children's schools, and is currently the Varsity Cheerleading Coach for her daughter's high school and homeroom mom for her son's class. She is very passionate about animals, and hosts a special segment each week on her radio show called April's Animals, which helps shelter animals find homes. April resides on the Eastern Shore of Maryland with her husband Denis and two children Stephanie, 15, and Donovan, 14. Her hobbies include traveling, history, paranormal investigation, camping, singing, binge-watching Netflix with her children and volunteering. April is a graduate of Salisbury State University with a Bachelor of Arts in Communications. She was co-owner and vice-president of April's Bridal & Formal of Salisbury. April was host of her own mid-day county radio show weekdays from 10-3 pm on Froggy 99.9 from 2009-2011. She was also co-host of The Mike and April Show (and Mike, April & Randy Show) from 2005-2010, weekday mornings on Froggy 99.9. 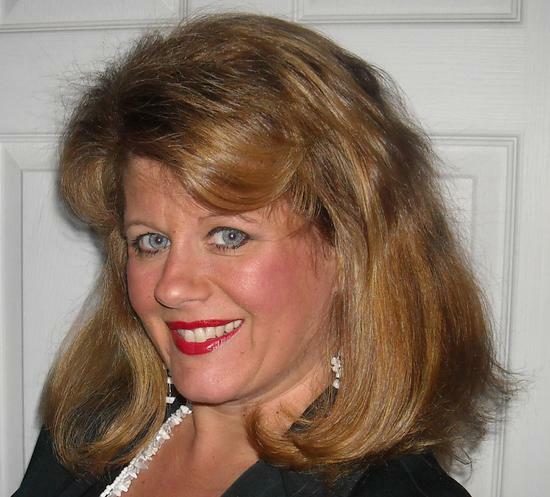 April was named "The Best Radio Personality on the Eastern Shore 2010"
In addition, she served as the Promotions Director for Clear Channel Radio Delmarva from 2009-2011. She served as Head Coach for the Delmar Pop Warner Mitey Mites Cheer Squad for two years, and was the coach for the Jr. Pee Wee Squad for the 2012 season. April served two years as President of the St. Francis de Sales Catholic School HSA (PTA), two years as vice-president and chaiperson for the school's largest fundraiser. For many years, she served as leader and co-leader for her daughter's Daisy, Brownie and Juniors Girl Scout troops. Among April's many titles and awards, her favorite titles were Mrs. Maryland United States 2001, Miss Ocean City Maryland America 1994, America's Natural Miss 1992, Maryland-Delaware Watermelon Queen 1988 and has held numerous local, state regional and national titles and awards. April believes it is very important to be involved in the community. She is a former member of the Salisbury Jr. Chamber of Commerce and served as chairperson of the Salisbury Christmas Parade for two years. April was a dancer in the first ever Dancing With Delmarva Stars Competition in 2009 where she performed the Charleston with partner Bill Goshen of www.bgdance.net. In 2010 & 2011, she served as co-host of the event. Recently, she and her daughter (Kind Kids Founder, Stephanie) organized the Pirates & Princess Party to benefit Childhood Cancer, Toys For Tots Express and Delmarva's VIP Pageant Program for Special Needs Children. Her daughter Stephanie and her club Delmarva's Kind Kids assist in the planning and preparation of these community events.